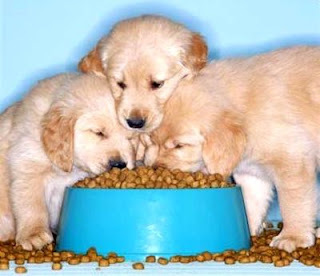 Have a regular feeding schedule for your dog, and stick to it religiously. Feed him only high quality and premium dog foods. Economy dog foods are not just inferior in their protein sources, but they may also lack important vitamins and minerals that should be part of a healthy dog's habit. Economy brands can also be more expensive in the longer run since they are often designed to be less filling, so the dog needs more food. While buying a brand of dog food, take your dog's age, weight size, breed and activity level into consideration. Make sure your dog has a constant supply of fresh water in his bowl. No matter what the size of your dog, he needs plenty of exercise, and not just in your yard. Many dog owners make the mistake of assuming that all a large dog needs is a large yard to bound about in. No. A large dog needs a long walk and some fresh air. He would be perfectly happy in a smaller house or yard. Some breeds of dogs need more exercise than others. When your buy a dog, take their activity levels into consideration. If you can't spare a lot of time to exercise your dog, go in for a breed that's comfortable with lesser amounts of activity. Your dog needs to have a periodic evaluation of his health by a veterinary doctor. Take your dog to a vet for complete physical every six months. Observe your dog's eating and eliminating habits, and look for changes in his skin and any discharge from his eyes and ears. If you notice anything strange, tell your vet about it. Training a dog is not just for show competition purposes. You may not need your dog to display acrobatics, but you certainly need him to understand and obey some basic commands. Train your dogs to obey you through obedience training techniques. With a wealth of information available online, there's really no need for you to let your pet remain untrained. An untrained dog is not just a danger to others, but also risks injuring himself. 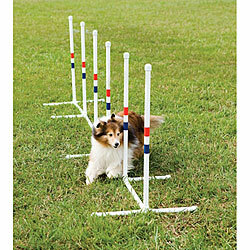 Training your dog helps you control his behavior which is a vital part of responsible dog ownership. 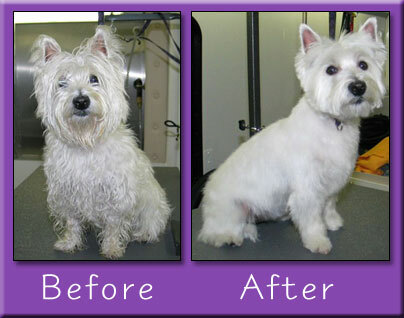 Some breeds require more intensive grooming than others, but ordinarily your dog should be groomed everyday. Use a soft bristled brush to brush his fur daily. Keep his nails short, but not too short, and well trimmed at all times. Clean his ears with cottons swabs,and wipe off excess mucus from his eyes and nose. Don't forget his canines - a soft bristled toothbrush and a doggy flavored toothpaste will keep his molars looking sparkling clean. Neutering or spaying your dog is an absolute must. There are too many dogs without homes or shelters for your dog to contribute to the canine overpopulation. Dogs should be neutered before they are 6 months old. Neutering a dog has many benefits - they become less territorial and less aggressive. Neutering also prevents the development of various cancers in your dog like cancer of the prostrate. Females need to be spayed before 6 months too. You don't want your dog to go through a pregnancy and a stressful and hormone ridden delivery every three months. Moreover, the scent of a female in heat can attract unneutered males from miles around. Dogs attracted to a female have been known to try to enter yards, and indulge in bloody fights over the female. Your dog is a social animal and needs company and companionship. Don't confine him to the yard or hide him away in a crate for a long period of time. Make the time to play with him and shower lots of affection on your loving pet.